Saeed, A., Hamzah, M. (2013). New Approach for Removal of Total Hardness ( Ca2+, Mg2+ ) from Water Using Commercial Polyacrylic Acid Hydrogel Beads, Study and Application. International Journal of Advanced Biological and Biomedical Research, 1(9), 1142-1156. Ahmed Mahdi Saeed; Mohammad Jassim Hamzah. "New Approach for Removal of Total Hardness ( Ca2+, Mg2+ ) from Water Using Commercial Polyacrylic Acid Hydrogel Beads, Study and Application". 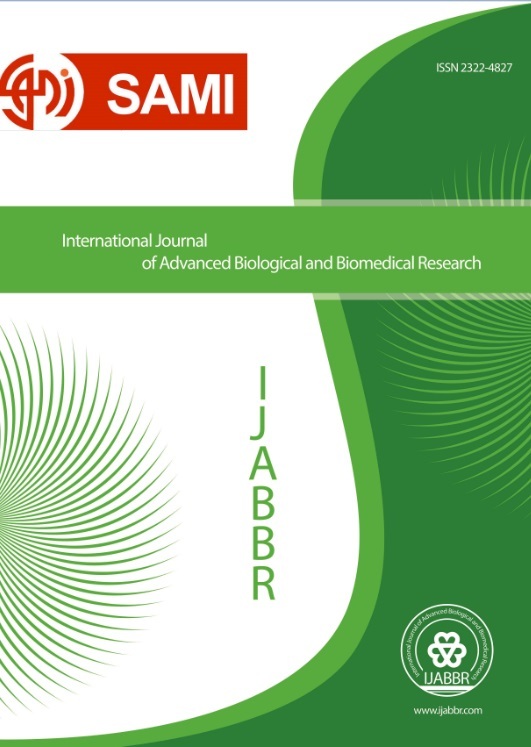 International Journal of Advanced Biological and Biomedical Research, 1, 9, 2013, 1142-1156. Saeed, A., Hamzah, M. (2013). 'New Approach for Removal of Total Hardness ( Ca2+, Mg2+ ) from Water Using Commercial Polyacrylic Acid Hydrogel Beads, Study and Application', International Journal of Advanced Biological and Biomedical Research, 1(9), pp. 1142-1156. Saeed, A., Hamzah, M. New Approach for Removal of Total Hardness ( Ca2+, Mg2+ ) from Water Using Commercial Polyacrylic Acid Hydrogel Beads, Study and Application. International Journal of Advanced Biological and Biomedical Research, 2013; 1(9): 1142-1156.